Blackboard is a leading provider of E-Education enterprise software applications and services. Blackboard’s global clients include primary and secondary schools, higher education, corporation and government markets as well as textbook publishers. SoftChalk, a Blackboard Building Blocks partner, enhances Blackboard (Learn and Angel) by providing tools for creating highly interactive content that can be easily integrated into and delivered through the Blackboard learning management and content systems. A global leader in EdTech, D2L is the creator of Brightspace, the world’s first integrated learning platform. The company partners with thought-leading organizations to improve learning through data-driven technology that helps deliver a personalized experience to every learner, regardless of geography or ability. D2L’s open and extensible platform is used by more than 1,100 clients and almost 15 million individual learners in higher education, K–12, healthcare, government, and the enterprise sector—including Fortune 1000 companies. The company has operations in the United States, Canada, Europe, Australia, Brazil, and Singapore. 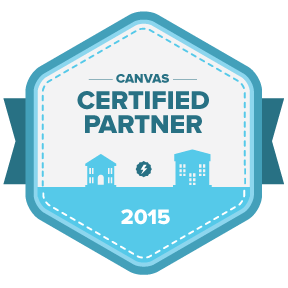 Canvas by Instructure is focused on helping institutions improve education through technology. Founded in 2008 by two computer science graduate students, Instructure builds Canvas―the only simple, open learning management system native to the cloud. Instructure services more than 100 post-secondary and K-12 educational institutions. 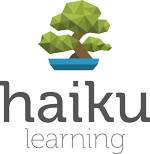 Founded in 2006, Haiku Learning is a cloud-based learning platform designed exclusively for K-12 schools. Powering digital learning for more than two million students across the globe, Haiku Learning helps schools and school districts facilitate deeper learning, prepare students for college and career, and keep their ecosystem connected and secure with their powerful integrations with SIS’s and other services, such as Google Apps for Education. Jenzabar, Inc. is a leading provider of enterprise software, strategies, and services developed exclusively for higher education. The company offers integrated, innovative solutions to advance the goals of academic and administrative offices across the campus and throughout the student lifecycle. As a trusted partner serving more than 1,000 campuses worldwide, Jenzabar has over four decades of experience supporting the higher education community. NetLearning is an eLearning software provider developing products for the healthcare industry since 1995 and part of Cengage Learning. The NetLearning product suite allows for the deployment, management, and reporting of training-related activities. Cengage Learning, is a global leader in providing integrated information solutions to business and professional customers. Remote-Learner has been creating training, development and educational technology projects for customers since 1982. Remote-Learner is a Moddle Partner that provides 5 key divisions of technology services to their customers: Hosting and Support, Training, Core Development, Instructional Design, and Strategic Organizational Development Planning. Sakai, designed by educators for educators, is an enterprise teaching, learning and academic collaboration platform that best meets the needs of today’s learners, instructors and researchers. Award-winning Schoology—used by millions of students and educators in K-12 schools and universities around the world—combines dynamic learning management, an easy-to-use collaborative interface, and next-generation API integration into one innovative solution. Schoology transforms learning into a media-rich interactive experience where students, teachers, parents and administrators work together to raise student achievement worldwide. Available as a free stand-alone product and as a fee-based integrated enterprise-class solution deployed in schools or across districts, Schoology is user-centric and scalable for any blended learning environment. More information at schoology.com or @schoology.